Европейското патентно ведомство публикува промени в своето ръководство относно процедурата по регистрация на европейски патенти. By decision of the President of the European Patent Office dated 30 May 2011, the Guidelines for Examination in the European Patent Office have been amended pursuant to Article 10(2) EPC. In particular, Part C-IV, 4.6.2 has been modified in order to take into account the decisions of the EPO Enlarged Board of Appeal in the "broccoli" (G 2/07) and "tomato" (G 1/08) cases bearing on the correct interpretation of the term "essentially biological processes for the production of plants or animals" as used in the European Patent Convention to exclude such processes from patentability. A process for the production of plants or animals which is based on the sexual crossing of whole genomes and on the subsequent selection of plants or animals is excluded from patentability as being essentially biological, even if other technical steps relating to the preparation of the plant or animal or its further treatment are present in the claim before or after the crossing and selection steps. To take some examples, a method of crossing, inter-breeding, or selectively breeding, say, horses involving merely selecting for breeding and bringing together those animals (or their gametes) having certain characteristics would be essentially biological and therefore unpatentable. This method remains essentially biological and unpatentable even if it contains an additional feature of a technical nature, for example, the use of genetic molecular markers to select either parent or progeny. On the other hand, a process involving inserting a gene or trait into a plant by genetic engineering does not rely on recombination of whole genomes and the natural mixing of plant genes, and is hence patentable. However, a claim to such a process may not contain crossing and selection steps. A process of treating a plant or an animal to improve its properties or yield or to promote or suppress its growth, e.g. a method of pruning a tree, would not be essentially biological since, although a biological process is involved, the essence of the invention is technical; the same applies to a method of treating a plant characterised by the application of a growth-stimulating substance or radiation. The treatment of soil by technical means to suppress or promote the growth of plants is also not excluded from patentability (see also IV, 4.8.1)." Furthermore, Part B-IX, 2.1(iii) and (iv) have been modified in order to cover PCT minimum documentation in the Spanish language in accordance with Rule 34.1(c)vi) PCT as well as to introduce the documentation of the Republic of Korea and the People's Republic of China as part of the PCT minimum documentation pursuant to Rule 34.1(c)ii) and (e) PCT. "The patents and/or published patent applications in the English, French or German language in which no priority is claimed, and the abstracts in English of the patents and/or published patent applications in the Spanish language in which no priority is claimed, as selected and made available by the national office of certain countries, e.g. Austria, Australia, Canada and Spain. ;"
"The abstracts in English of the patents issued, and/or patent applications published, by Japan, the former Soviet Union, the Russian Federation, the Republic of Korea and the People's Republic of China, and the inventors' certificates issued by the former Soviet Union and the Russian Federation, for which abstracts in the English language are generally available." The European Patent Office published changes to its guidance on the procedure for registration of European patents. E .g. Case R 219/2004-1 has to be entered under 'Appeal Nº' as: 0219/2004-1Article 8(1)(b) CTMR – Likelihood of confusion – Article 8(5) CTMR – Earlier trade mark with reputation. Decision of the Second Board of Appeal of 13 May 2011 in Case R 1084/2010-2 (English).The signs to be compared are: (earlier mark) and (sign applied for). The goods specified for both the earlier trade mark and the contested sign in Class 25, namely ‘clothing, footwear, headgear’ are identical. Visually, the conflicting signs are figurative marks in black and white consisting of four rings in black and grey overlapping each other. However, in the opinion of the Board the number 1009 is clearly perceptible in the contested sign. Even though in the case at hand the mark applied for does not contain verbal elements, but rather a numerical element, the Board is of the opinion that the average consumer will more easily refer to the goods in question by quoting the number 1009 than by describing the figurative element of the rings of the trade mark. Therefore, the signs are not visually similar. Aurally, as the number 1009 included in the contested mark is clearly perceptible, it is pronounced as the number 1009 or as the numbers 1-0-0-9 in accordance with the pronunciation rules in each Member State. With regard to the earlier sign, as it is a purely figurative mark, it cannot be pronounced. Bearing in mind the foregoing and especially the fact that a purely figurative mark is being compared with a mark that has an element which can be pronounced, the marks are aurally not similar. Conceptually, the Board finds it rather far-fetched that the earlier sign might suggest, among others, the idea of the symbol of the Olympic Games, as the symbol of the Olympic Games consists of five rings in a rather different layout. In the opinion of the Board, the four rings cannot be seen to relate to any specific concept. On the other hand, the contested mark contains the concept of the number 1009. Therefore, even though both marks contain four rings, the marks are conceptually also not similar overall. The Board further observed that even though it may be true that the earlier mark enjoys enhanced distinctiveness and reputation in relation to cars and other vehicles, the evidence provided with regard to goods in Class 25 consists mainly of catalogues and of turnover and sales figures which seem to originate from the owner of the mark itself. The Board concluded that the claimed reputation and high level of distinctiveness of the earlier trade mark in Class 25 remains unproven. Therefore, the distinctiveness of the earlier figurative mark must be seen as normal. 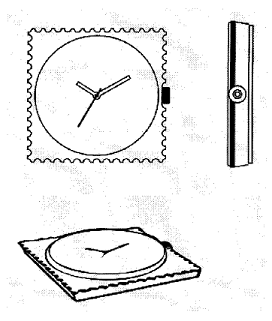 In light of the above, based on an overall assessment of the visual, aural and conceptual comparison between the marks, the Board noted that the marks at issue are not similar and that it is highly unlikely that the relevant consumer could confuse the trade marks or believe that the goods applied for come from the same undertaking merely on the basis of the slight elements of similarity. The clearly perceptible differences between the signs would not be overlooked by the relevant customer, even if they were used for identical goods. Therefore, the Opposition Division did not err in considering that Article 8(1)(b) CTMR was not applicable. The opponent also argued that its earlier mark is famous, however, it did not mark Article 8(5) CTMR as a ground of opposition or the goods and services in relation to which it claims reputation. Nevertheless, the Opposition Division considered that reputation had been claimed, and therefore it took this claim into account. Due to the clear differences between the signs, the Board is of the opinion that the marks are sufficiently dissimilar so that the degree of similarity is not such that the relevant public would establish a link between the two signs. Furthermore, it should be noted that the purpose of Article 8(5) CTMR is, notably, to enable the proprietor of an earlier mark with a reputation to oppose the registration of marks which are likely either to be detrimental to the repute or the distinctive character of the earlier mark, or to take unfair advantage of that repute or distinctive character. The Board is of the opinion that it cannot be established, on the basis of logical deductions resulting from an analysis of the probabilities and by taking account of the usual practices in the relevant commercial sector as well as all the other circumstances of the case, that the mark applied for is likely to take unfair advantage or be detrimental to the distinctive character or the repute of the opponent’s trade mark. In this case the Board does not find that the probability of a future, non-hypothetical risk of detriment to the earlier mark or of unfair advantage being taken of it by the mark applied for would be so obvious that the opposing party does not need to put forward and prove any other fact to that end and that in any case, even though it is not an absolute requisite, it has not been shown that the earlier mark has an exceptionally high reputation. Since at least two of the three cumulative conditions for the application of Article 8(5) CTMR are not satisfied, the appeal also has to be rejected insofar as it was based on Article 8(5) CTMR and there is no need to evaluate whether the other conditions of the article have been satisfied. Consequently, the contested decision must be upheld and the appeal dismissed. Rule 19(1) CTMIR – Substantation of the opposition – Rule 80(2) CTMIR –Communication by telecopier. Decision of the First Board of Appeal of 24 May 2011in Case R 2118/2010-1 (German). In its decision the Opposition Division rejected the opposition as unfounded pursuant to Rule 20(1) in conjunction with Rule 19(1) CTMIR, as the opponent had neglected to substantiate its earlier trade mark. According to the documents submitted, the trade mark claims colours. However, all of the documents submitted show the trade mark in black and white. The opponent requested that the contested decision be annulled and the case be remitted to the Opposition Division for the continuation of proceedings. It states that the documents filed reveal that the trade mark claimed the colours blue and black. It also submitted a colour copy of the earlier trade mark. The Board observed that the opponent filed a copy of the illustration of the sign covered by the earlier trade mark by fax together with the opposition form. A confirmation copy of this fax in colour was received by the Office by post. Although the copy which contains the colour illustration of the trade mark was not received by the Office until after the expiry of the opposition period, the opposition was still admissible as, in accordance with Rule 15 CTMIR, evidence of the earlier trade mark was not required at that point. A copy of the certificate of the details entered in the register was also received by the Office within the period set by the Opposition Division. The facts of the matter left the Office in no doubt that the fax transmission was incomplete or erroneous, as the fax machine did not transmit in colour. There was, therefore, a transmission problem within the meaning of Rule 80(2) CTMIR, which means that the Office should have pointed out this problem and set the opponent a period for submitting the original written submission by post. Consequently, the contested decision was annulled and the case remitted to the Opposition Division for the continuation of proceedings. Излезе брой 2 на бюлетина на Европейското патентно ведомство касаещ патентни новини в Европа. "East meets West" or "North meets South"? 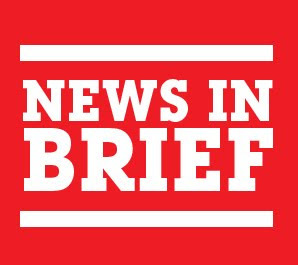 Issue 2 of Bulletin of the European Patent Office concerning patent news in Europe was published. Председателят на Руското патентно ведомство Борис Симонов беше на посещение в OHIM в края на месец юни. Основните изводи от неговото посещения, които могат да се направят са за сближаване на руското патентно ведомство с OHIM. Нещо което е особено важно е проявеният интерес от руските представители относно общата база данни за търговски марки в Европа TM View. Евентуалното бъдещо присъединяване на руската база данни би било от огромно значение за управлението и защитата на търговски марки в цяла Европа. The Director General of the Russian IP Office Boris Simonov visited OHIM at the end of June. The main findings of its visits which can be made concerning the convergence of the Russian Patent Office and OHIM. Something which is especially important is the interest shown by Russian officials on a common database for trademarks in Europe TM View. 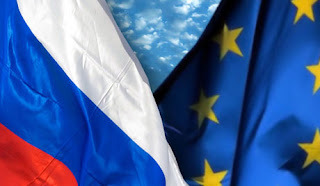 The possible future accession of the Russian database would be of great importance for the management and protection of trademarks in Europe. Keywords: Community trade mark: Opposition: Relative grounds for refusal: likelihood of confusion: signs; Relative grounds for refusal: reputation. Повече информация за посочените дела може да откриете тук. More information about these matters can be found here. OHIM публикува статистика относно заявки и регистрации на търговски марки и промишлени дизайни на Общността за месец юни. От предоставените данни личи че заявките за марки и дизайни през 2011 са повече отколкото тези са същия период на 2010. 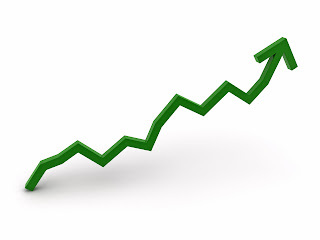 OHIM publishes statistics on applications and registrations of Community's trademarks and industrial designs for June. This data shows that applications for trademarks and designs in 2011 were more than these for the same period of 2010. Европейският съд се произнесе по дело T-499/09 в което Evonik Industries се опитва да регистрира, като марка пурпурен правоъгълник за класове от 1 до 45. Според съда заявената марка се състоя от един цвят и обикновенна геометрична форма, което не може да създаде отличителност на марката. Поради тази причина потребителят би възприел знака, като декоративен елемент, а не като търговска марка. Предоставените от заявителя документи за проведена рекламна кампания ‘Print wirkt’ не доказват, че потребителите възприемат пурпурният правоъгълник, като марка указваща производствен произход. The European Court ruled in Case T-499/09 in which Evonik Industries was trying to register as a trademark ‘crimson rectangle with a convex side’ for classes 1 to 45. According to the court the mark applied is consists of one color and ordinary geometric shape that can not create a distinctive brand. Therefore, consumers will perceive this sign as a decorative element rather than as a trademark. 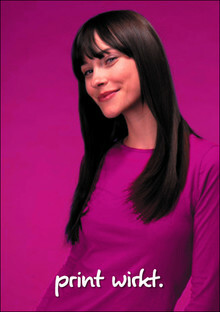 Documents provided by the applicant for the advertising campaign 'Print wirkt' do not prove that consumers perceive the purple rectangle as a mark indicating the origin of production. Патентното ведомство на Великобритания публикува интересен доклад озаглавен Trade Mark Incentives. Най-общо доклада разглежда ролята и влиянието на търговските марки за компаниите във Великобритания, за връзката между марки, иновации и брандинг. Макар да касае само Обединеното кралство, информацията в доклада може да се окачестви, като релевантна и за други държави, тъй като ролята на търговските марки е в правопропорционална връзка с икономиката на съответната държава. Резюме от него може да откриете тук. 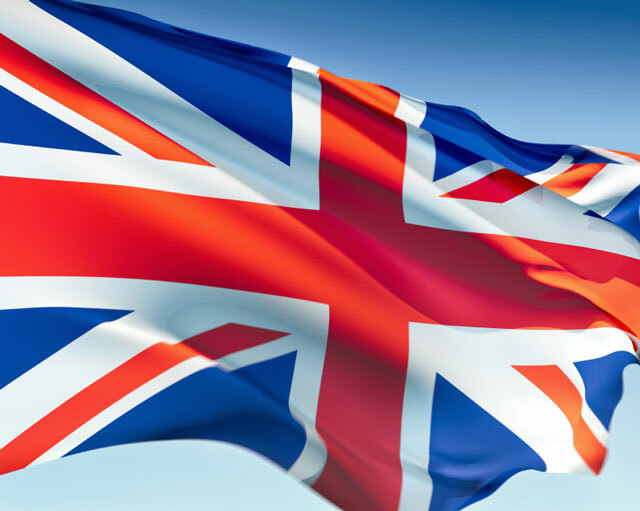 The UK Patent Office published an interesting report entitled Trade Mark Incentives. Broadly the report examines the role and influence of trademarks for companies in the UK, the relationship between marks, innovations and branding. Although it concerns only the United Kingdom, the information in the report can be described as relevant for other countries since the role of trademarks is in proportional relation to the economy of the country. A summary of it can be found here. Европейската комисия оповести основаването на нов фонд от 7 милиарда евро, който да подкрепи изследователската дейност в Европа с цел генериране на нови и нови иновации. Според комисар Máire Geoghegan-Quinn този проект на ЕК ще създаде 174 000 нови работни места в краткосрочен план и близо 450 000 в дългосрочен. Очакванията са че тази инвестиция на ЕС да генерира 80 милиарда евро възръщаемост в следващите 15 години. От този фонд ще могат да се възползват, както Университети и научни центрове, така и отделни компании и изследователи. 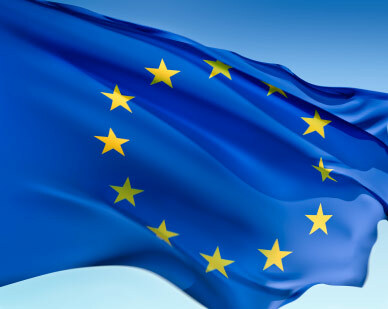 The European Commission announced the establishment of a new fund of 7 billion EUR to support research in Europe in order to generate more and more innovations. According to Commissioner Máire Geoghegan-Quinn this EC project will create 174,000 new jobs in the short term and nearly 450,000 in long term. The expectations are that EU investment will generate € 80 billion returns in the next 15 years. From this fund will be able to benefit as universities and research centers as well individual companies and researchers. IP Tango съобщава новината за промяна на законодателството касаещо търговските марки в Мексико. Промените влизат в сила от 13 юни 2011 и имат за цел да ускорят процеса по регистрация на марки в страната. Според промяната вече не е необходимо да се предоставя сертифицирано копие от приоритетна заявка за марка по Парижката конвенция. Необходимо е да се посочи само датата на заявка, серийният номер и страната на произход на марката на чиято основа се търси приоритета. Според мексиканското законодателство при грешно предоставяна информация в това отношение, впоследствие марката може да бъде заличена. IP Tango the news for a change of legislation concerning trademarks in Mexico. The change takes effect from 13 June 2011 and it aim to accelerate the process of registration of the mark in the country. According to this change it is no longer necessary to file a certified copy of a Paris Convention priority application. It is necessary to specify only the filling date, serial number and country of origin of the mark on which the priority is sought. 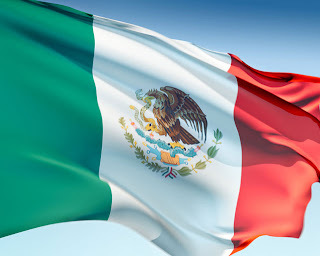 According to Mexican law when provided false information in this respect, then the mark may be invalidate. Европейският съд излезе с решение по дело T-374/08. То касае сходство на марки TOP CRAFT и KRAFFT заявени в класове 1 и 3. Според Апелативният борд на OHIM между двете марки има наличие на силно сходство. Елемента TOP ще се възприеме от потребителите в Испания, като знак за "Най-доброто" и поради това е неотличителен. Между думите CRAFT и KRAFFT има голямо сходство. 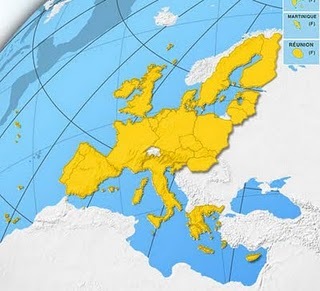 Европейският съд обаче счита, че марките не са сходни. Думата TOP в една от марките е заобиколен от графична визия, която привлича вниманието на потребителите. Относно сходството на CRAFT и KRAFFT съдът счита, че то не е определящо при крайната оценка. В Испания буквата К е използвана в по-малка степен, поради което има необходимата отличителност да осъществи разграничение между двете марки. В допълнение шрифта на KRAFFT е готически и не се използа често в Испания. Двете думи нямат значение на испански, което е причина елемента TOP да повиши своето значение и отличителност. Поради така посочените причини съдат счита, че двете марки не са сходни. The European Court ruled in Case T-374/08. It concerns the similarity of marks TOP CRAFT and KRAFFT filling in classes 1 and 3. According to the OHIM Board of Appeal there is strong similarity between the two marks. 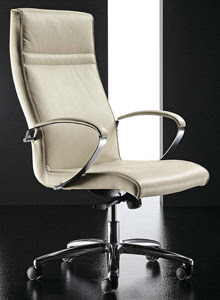 The element TOP is perceived by consumers in Spain as a sign of "the best" and therefore it is non-distinctive. Between words CRAFT and KRAFFT exist a great similarity. However, the European Court considers that the marks are not similar. The word TOP in one of the trademarks is surrounded by a graphic image that attracts the attention of consumers. On the similarity of CRAFT and KRAFFT court considers that it is not decisive in the final assessment. In Spain, the letter K is used to a lesser extent so it has a necessity to create distinctiveness between the two marks. In addition, the font of KRAFFT is a Gothic which not often used in Spain. Both words have no meaning in Spanish so TOP increase its relevance and distinctiveness. information from Marques Class 46. Каква е ролята на авторското право в предотвратяването на плагиатството и дали то може да помогне в това отношение? Jonathan Bailey разглежда темата в статия в две части по въпроса, публикувана в Plagiarism Today. Част първа може да откриете тук. Част втора може да откриете тук. What is the role of copyright in the prevention of plagiarism and whether it can help in this regard? Jonathan Bailey examines the theme in an article in two parts on the subject published in Plagiarism Today. Според решение T-208/10 на Европейския съд, заявената европейска марка TRUEWHITE в клас 9 (лампи и севтодиоди) не може да бъде регистрирана. Доводите на съдът са, че марката е описателна относно посочените стоки, като характеризира качества които те могат да имат. Тоест TRUEWHITE подсказва на потребителите, че съответната лампа излъчва светлина близка до естествената дневна светлина. 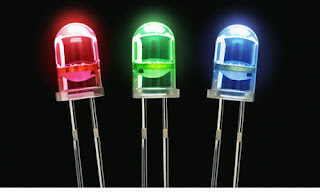 According to the decision T-208/10 theEuropean Court stated that the European mark TRUEWHITE in Class 9 (light emitting diodes ) can not be registered. The arguments of the court are that the mark is descriptive of the nature (white) and quality (true, meaning natural) of the light, as characterized qualities that they have. TRUEWHITE prompts the user that the lamp emits light similar to natural white light. 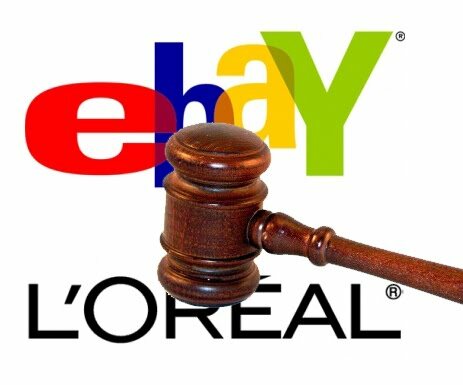 The European Court issued a decision on the case of L'Oreal v. eBay - Европейският съд излезе с решение относно делото L’Oreal v.eBay Inc.
Европейският съд излезе с разяснително решение по делото между L’Oreal и eBay Inc. Това решение отговаря на редица въпроси зададени от Съда в Англия, където се води делото. Делото касае оплакване от страна на L’Oreal , че eBay чрез своя интернет сайт спомага за продажбата на продукти на компанията, които по принцип не се продават в Европа. По този начин се нанасят щети върху дистрибуционната политика на L’Oreal. Становището на Европейския съд е че web сайтовете за продажба на продукти са отговорни за нарушаване на права върху търговски марки обозначаващи продаваните продукти. Според съдът националните съдилища в страните членки трябва да решават дали има нарушаване на права за всеки конкретен случай. Все пак Европейския съд счита, че eBay чрез своята дейност не използва тези марки само защото те са изложени на неговия сайт. The European Court issued an explanatory decision on the case between L'Oreal and eBay Inc. This solution satisfies a number of questions asked by the Court in England where the case is. The case concerns a complaint by L'Oreal that eBay through its website promotes the sales of the company's products which are generally not sell in Europe. Thus damage the distribution policy of L'Oreal. The opinion of the European Court is that online retailers like eBay that sell products are responsible for the violation of trademarks identifying those products. According to the court national courts in the Member States must decide whether there is infringement of rights in each particular case. However, the European Court considered that eBay through their activity does not use these marks only because they are exhibited on his site. 1. EC представи доклад за 2010 г. относно митническите дейности, свързани със стоки, нарушаващи правата върху интелектуална собственост. 2. "Основни понятия на авторските и сродните права" - документ, изготвен от Международното бюро на WIPO. 3. Каналът на Лейди Гага в YouTube е спрян поради нарушаване на политиката в областта на авторското право на сайта. 4. ПРОФОН подписа нови двустранни споразумения със сродни организации от Швеция и Албания. 5. Гугъл набира патентни адвокати и експерти. 1. EC presented a report for 2010 concerning customs activities related to goods infringing intellectual property rights. 2. 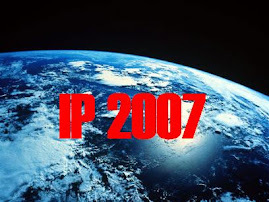 "Basic concepts of copyright and related rights" - a document prepared by the International Bureau of WIPO. 3. Channel of Lady Gaga on YouTube has been suspended for violation of the policy of copyright on the site. 4. PROPHON signed new bilateral agreements with similar organizations from Sweden and Albania. Съдебното дело е T-235/10 Timehouse v OHIM. Според решението на Европейския съд заявената от Timehouse форма на часовници, като европейска марка не може да бъде регистрирана в клас 14. Решението на OHIM да откаже регистрацията на абсолютни основания е правилно. Заявената форма е широко разпространена, неотличителна и не се различава значително от обичайната форма характерна за часовниците. The case is T-235/10 Timehouse v OHIM. According to the decision of the European Court, Timehouse applied for European mark which has a form of ordinary watches which can not be registered in class 14. The decision of OHIM to refuse registratio on absolute grounds is correct. The requested form is widespread, non-distinctive and does not differ significantly from the usual form characteristic for watches . Европейското патентно ведомство организира курс Мениджмънт на патентно портфолио с IPscore. Обучението ще се проведе на 28 и 29 септември 2011 година във Виена, Австрия. Таксата за участие е 500 евро, за студенти 150 евро. The European Patent Office organized a course Patent portfolio management with IPscore. This training will be held on 28 and 29 September 2011 in Vienna, Austria. The participation fee is 500 euros, 150 euros for students. Head of Apple's intellectual property will leave the company? - Шефа на интелектуалната собственост на Apple напуска компанията? Според редица информационни източници, главният мениджър на патентното портфолио на Apple Richard Lutton ще напусне компанията. Не се посочват конкретни причини за това. Apple не са коментирали ситуацията. Richard Lutton е един от видните мениджъри на патентни портфолиа по света. Той е участвал в множество съдебни битки и сделки. Преди седмици Apple спечели битката с Google за патентното портфолио на Nortel. От друга страна Apple загуби съдебно дело срещу Nokia. Според слухове новият ръководител на интелектуалната собственост на компанията ще бъде BJ Watrous, бивш главен съветник в Hewlett Packard. According to several sources of information the general manager of the patent portfolio of Apple Richard Lutton will leave the company. There are no indicated reasons for this. Apple did not comment on the situation. Richard Lutton is one of the leading managers of patent portfolios in the world. He has participated in numerous legal battles and deals. Weeks ago, Apple won the battle with Google for patent portfolio of Nortel. On the other hand Apple lost a lawsuit against Nokia. According to rumors the new head of the intellectual property of the company would be BJ Watrous, former general counsel at Hewlett Packard. 1. Презентация от изпълнителния директор на IPO относно патентната реформа в САЩ и предстоящото й влизане в сила. 2. Испания и Италия подадоха жалба в Европейския съд за отмяна на решението на ЕС за единен европейски патент. 3. Warner Bros. получи права върху всички нови версии на "Магьосникът от Оз". 4. Десетте най-известни спорове в областта на интелектуалната собственост. 5. Казус, свързан с търговските марки, показва колко важен може да се окаже факторът време. 1. A presentation by the Executive Director of the IPO concerning the patent reform in the U.S. and its impending entry into force. 2. Spain and Italy have submitted a complaint to the European Court to annul the decision of the EU concerning a single European patent. 3. Warner Bros. receive rights to all new versions of "The Wizard of Oz." 4. 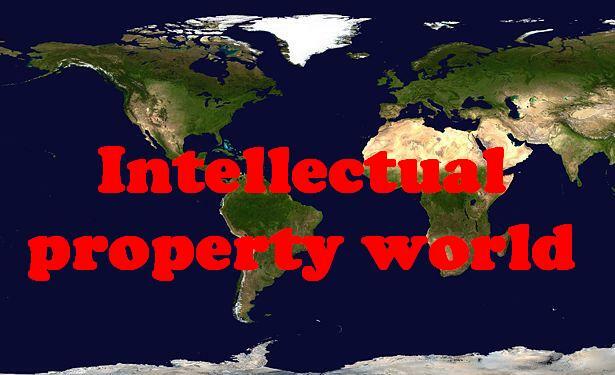 The ten most famous disputes concerning intellectual property. 5. A Case related to trademarks shows how important may be the time factor.